I thought I had better get this posted before it's August. For the 4th we went for dinner and fireworks at Mickey's aunt and uncle's house. They had a ton of family visiting. We had fun. There was LOTS of food and people to chat with. The house is on a lake and has a great yard. There were games and water activities. I spent the evening hanging out with two girls (17 & 18). I felt so young. Here's a few pictures. 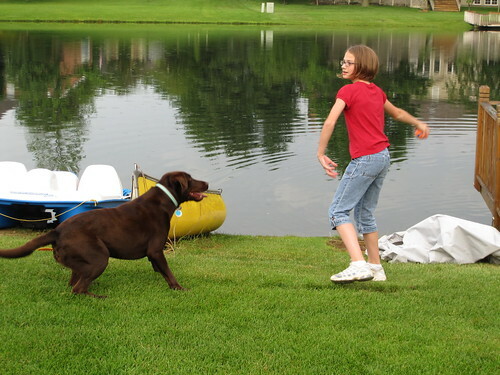 Meg playing with the neighbor's dog. 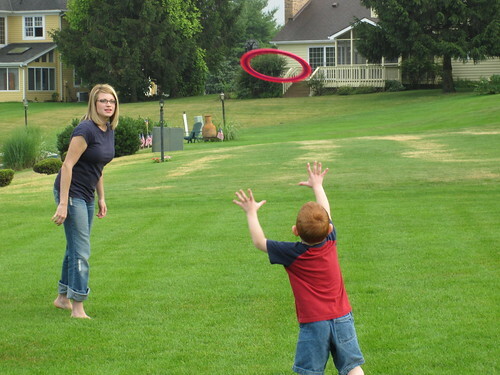 Kade playing frisbee with Tia. 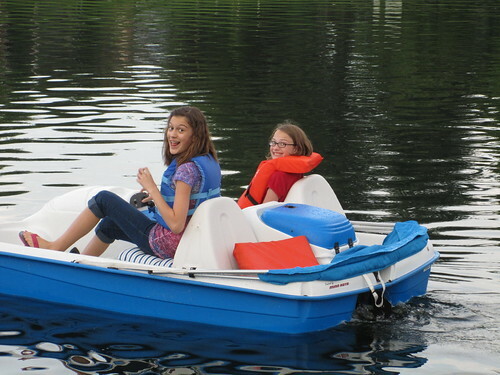 Meg and Abby in the paddle boat. Mattey and her daisy dukes. 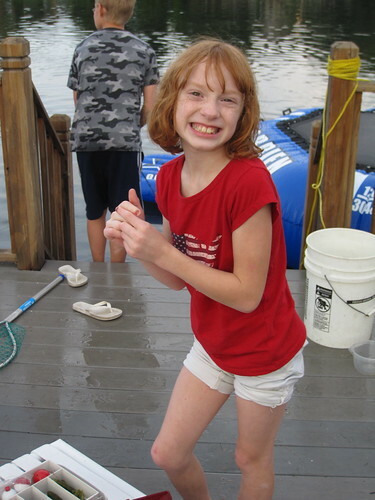 She was having fun on the dock. 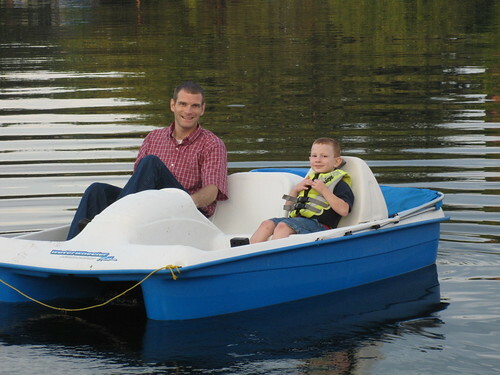 Mickey and Kade in the paddle boat. 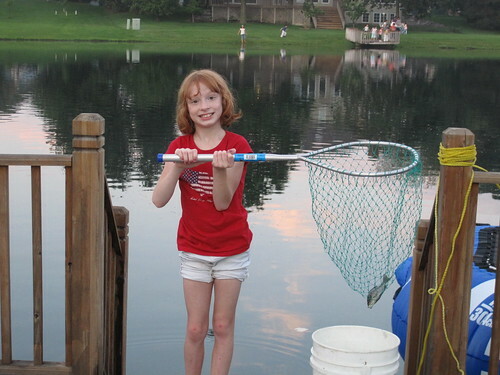 Meg with one of her catches of the night. 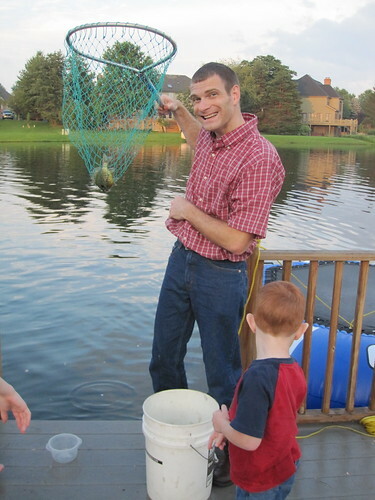 Mickey with his one catch. 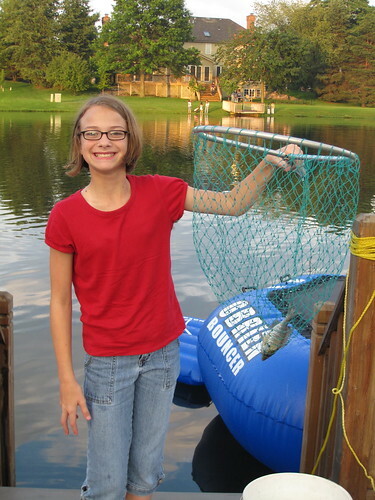 Mat with her little fish. 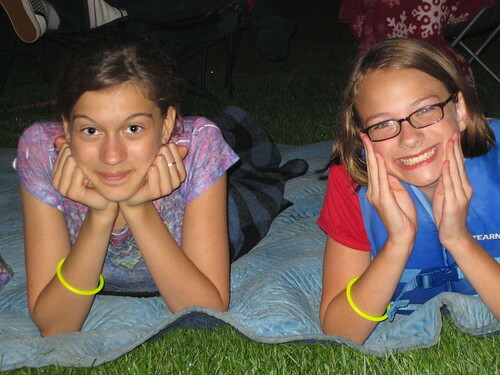 Abby and Meg watching fireworks. 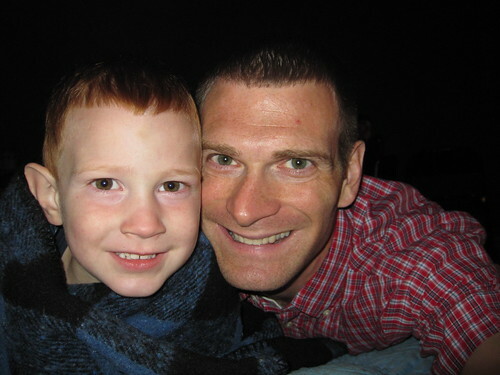 Kade and Mickey snuggled up watching fireworks.